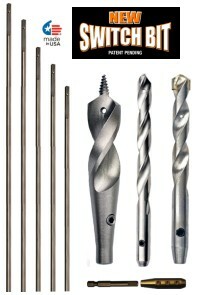 Reach farther with installer bit extensions. Made of flexible steel and notched, they are easy to attach. Select from 4 different sizes. Switch Bit Hex Adaptor Kit - Easily turn any Switch Bit or Cable Bit into a Quick Change. 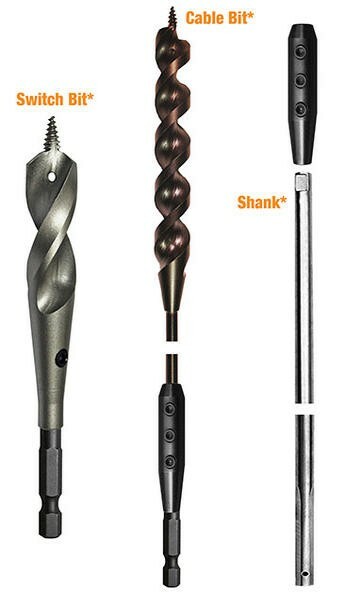 Use Coupling with Switch Bit Shanks to make any length bit you need. 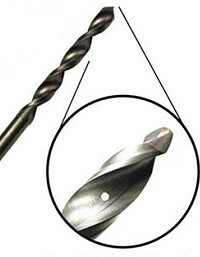 Positions flexible drill bits horizontally or vertically within a wall. Cushion-Grip handle for non-slip comfort. Folding design stores more compactly than standard tool.